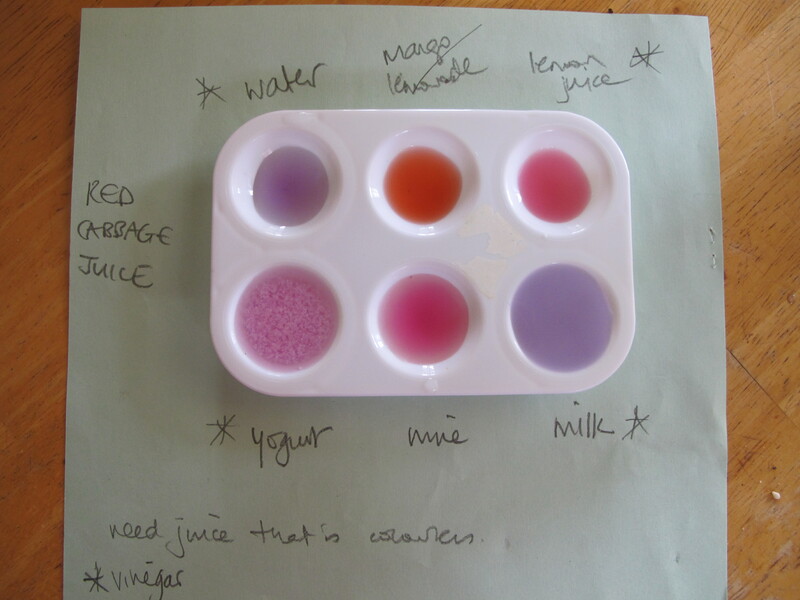 Compare foods, some that are sour with two different tests: a pH indicator (purchased or home made), or by adding baking soda to look for gas bubble production. What is it that makes some foods taste so sour? Foods are sour when they have a high concentration of loose hydrogen atoms. (Atoms are tiny particles that make up us and everything we see around us. Atoms link together to make molecules.) 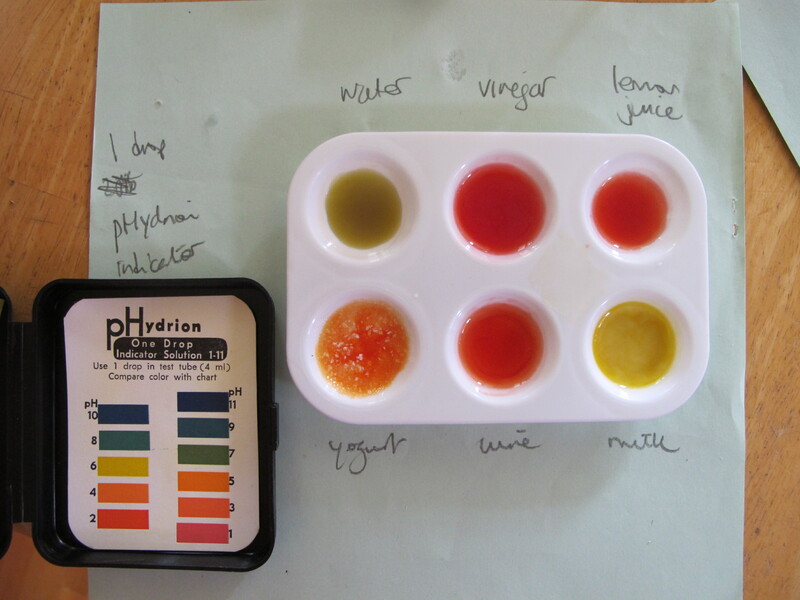 Do an experiment to predict how sour some foods are without tasting them. Add unknown liquids to wells of the tray. The liquid with a high concentration of loose hydrogen atoms is the most sour. The food with a low concentration of loose hydrogen atoms is the least sour. 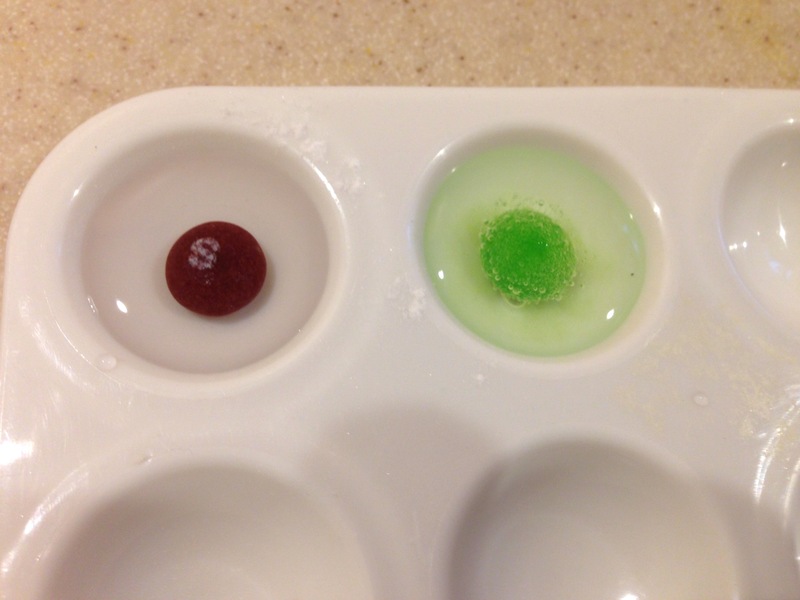 By looking at the color of the dye, predict which liquid is the least sour and most sour. Taste the liquids to check. (Sometimes sugar is added to foods to offset the sour taste, so they may not taste as sour as predicted e.g. lemonade). Add a small scoop of baking soda to a well of the tray. Add water and mix together. Drop a candy into the baking soda solution. In each case the loose hydrogen atoms interact with receptors on your tongue, and depending on their concentration your brain perceives the food as sour or not. Other foods to add: buttermilk, orange juice (though colour may mess it up).